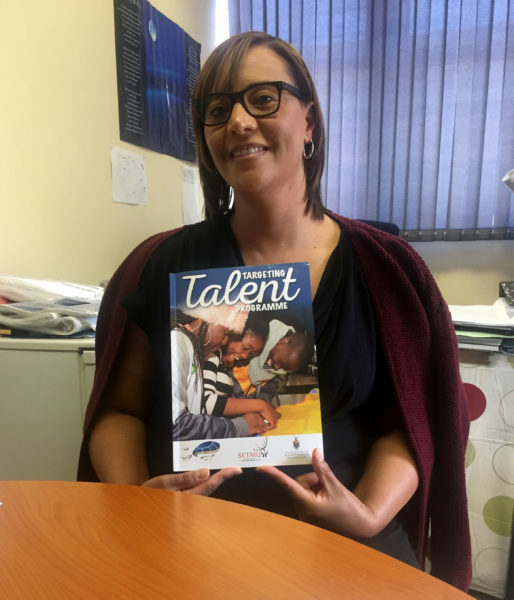 The Wits University Targeting Talent programme (TTP) has successfully assisted over 3 000 learners in grades 10-12 in its twelve year existence. The programme, established in 2006, is based in the Emthonjeni Centre (EC) on Wits east campus and targets learners from disadvantaged backgrounds, helping them to secure university entrance and subsequently supporting them through their studies. The programme boasts a 92% access rate to university since they were established. Project Director, Zena Richards, told Wits Vuvuzela, that it is not difficult to see the impact of the TTP. “We are seeing the results of our investments,” she said. 103 schools around the country are currently involved in the programme ensuring that TTP has a “geographic footprint all over South Africa”, according to Richards. BSc Honours in Construction Management student, Tumelo Marale, 21, was involved in the programme from 2012 to 2014 and mentors some of the current students. “The programme has opened so many great attributes and skills about myself that I did not know I possess which I still use today in my career field,” she said. Marale said that she applied to be a mentor because the programme acknowledges the individuality of the people within it and that she always wanted to give back to the programme in some way. The TTP programme is run throughout the year with maths and science supplementations in March and September. In June/July, learners have a contact session at Wits which is a 16-day residential enrichment programme exposing learners to the various fields that they can become involved in. The basic requirements to enter the programme is an average of 60% in grade 10.